Thank you for volunteering for one of the most rewarding weeks you will spend this summer! Faculty is about the opportunity to influence the life of a young person as they seek to follow Jesus, and God will use you to minister and walk alongside a young person as you give yourself to volunteering as Faculty at camp with us. You will find everything you need to complete for Joining the Faculty at your camp below. All paperwork will be uploaded to your CampBrain account by May 20th, 2019 at the latest. Paperwork not uploaded by this date will be considered outstanding and may impact your ability to attend camp. Faculty who have children attending as a camper will receive a $100 family discount. Please complete your camper’s registration by paying the deposit, as well as your faculty application. Then contact Becca at the Camping Office to have the discount applied to your account. Faculty who have non-camper children with them at camp will be required to pay $75 for meals for each child. Children 4 and under will be free. Please complete the Non-Camper Faculty Child Form and upload it to your account. This should be paid via cheque upon arrival. Your camp director will provide information about arrival times. 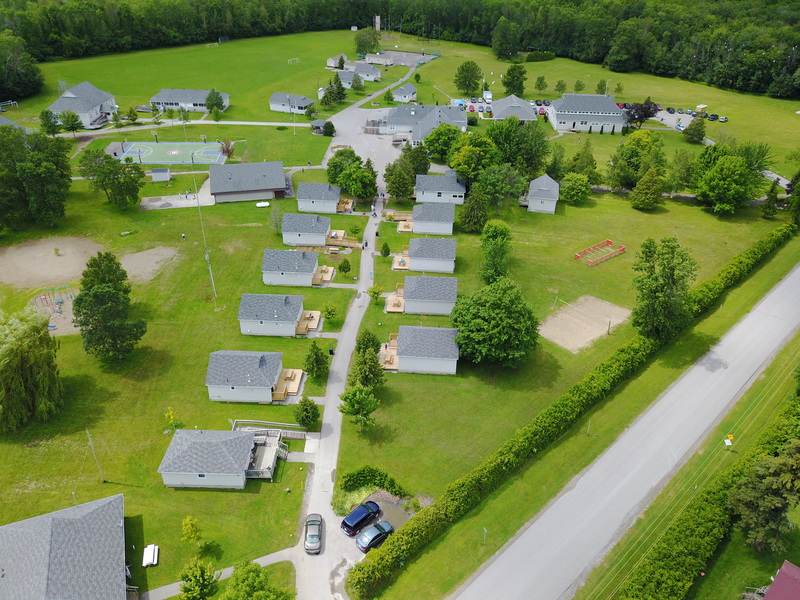 Camp is a very busy place, and we have 3 camp programs operating at a time at Jackson’s Point. We would ask that you unload your vehicle at the gate and carry your luggage and supplies in. If you need assistance we will be more than happy to assist. We ask that for safety you refrain from driving on the camp property, and appreciate you assisting us with the safety of our campers. As you prepare your various programs you will notice many new program elements at camp including a GaGa ball pit, a Basketball Court, Equipment Shed, and we’ve moved ball hockey down to road to the old BBall location. There will be opportunities to book those spaces for your group/cabins use exclusively in Coordination with the Blaze and the Timothy programs, and there will be lots of time for open use. Please check the schedule at the equipment shed. The Auditorium is newly renovated and the Dining Hall is newly painted. It is stunning. In your planning please do not put Tape of any form on the walls to help us maintain that look. There is a new sound system in the Aud as well as a dedicated PC for use by camps. The presentation software we are using is Easy Worship. Please plan accordingly, and we would ask that wires are left where they were as it has been set up for optimal sound. All purchases for camp supplies must be vetted through your camp director. They have been given a program budget, and we can’t pay for any expenses beyond that budget. If you would like to donate your purchases then please keep the receipt, and we would love to give you a tax receipt for year end. Please note that Salvation Army Policy has recently changed, and Gift Cards are not an allowable expense. Don’t buy any gift cards as thank you gifts or for supply use. More information will be shared during the first-night orientation. Bless you, and if you have any questions please feel free to contact us at the camp office. ALL paperwork will be uploaded directly to CampBrain as it was last year. You can access this by logging back into your account and uploading a PDF of each document to the designated upload spot. Each item listed in this email has its own spot to be uploaded, please take care to upload the correct item to the correct spot. Instructions have been added per item where necessary. Your medical form is built into CampBrain and will appear as an option to fill out next to the Upload Paperwork option. Please DO NOT email any of your paperwork to the camp or your camp directors, items emailed in will not be uploaded by our office and you will still be considered to have outstanding paperwork. ALL paperwork MUST be uploaded by May 20th, 2019. Additionally, we now require a short form to be submitted if you are bringing non-camper children with you to camp. It can be downloaded here. This will have been completed for you to move to this page, but just in case you haven’t please go to https://ilovecamp.campbrainstaff.com/ and complete a FACULTY 2019 application. We require a current (dated between September 2016 and present) Police Check with Vulnerable Sector Screening. The Camping Office will contact you if you require a new check this year. Your Police Check must be uploaded to your CampBrain account, it cannot be accepted as being on file at DHQ or your corps. It is your responsibility to get a copy from these locations if it is held there. Camp Requires dietary restrictions/allergy information. If this form is not filled out and submitted by May 20th, 2019 OCM cannot guarantee that alternative meals/items will be available during your week of camp. This form will only appear once you have been “hired” in CampBrain so you may need to check back to complete this form. Click Here for instructions. New for 2019: Armatus will now allow you to complete your refresher starting January 1st each year, no matter the date you completed the refresher last year! This means everyone can complete their refresher any time.